If you are planning a working holiday in New Zealand, you should know your employment rights. There are a set of employment laws in New Zealand to give rights and obligations for both employers and employees. 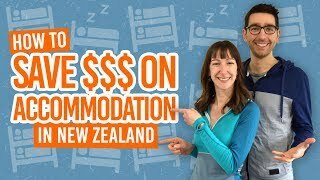 For backpackers working in New Zealand, you are covered by these employment rights if you have been employed under a contract of service to to work for some form of payment (wages, salary, commission and piece rates). This article will go through the basic employment rights that are likely to apply to your working holiday experience. For the extensive list of employment rights, see the Ministry of Business, Innovation and Employment (MBIE) website. You must sign a written agreement or contract with your employer before starting work. That way, you know what you are getting yourself in for and reduce the risk of misunderstandings. A number of minimum conditions will be outlined in the agreement, but even if they are not outlined, some conditions must still be met. These conditions are discussed in this article and in depth on the Employment New Zealand website. Employers must keep a copy of the agreement to which you can get copies on request. Employers in New Zealand can voluntarily choose to give employees a trial period of up to 90 days, which must be agreed in writing in the employment agreement (see above). About half of employers in New Zealand use trial periods. A trial period generally means that if you are dismissed before the end of a trial period, you can’t raise a personal grievance (official complaint) on the grounds that you think the dismissal was unjustified. You can, however, raise personal grievance on other grounds, such as discrimination, harassment or unjustified action by the employer. All of which are illegal in New Zealand, as part of The Human Rights Act 1993. NZ$1416 for a 80-hour fortnight. This also applies to “piece rates” which is the money paid to an employee per fruit picked or garments produced, for example. Even if you are paid by piece, you should still not get paid less than the minimum wage. When you are proposed a wage in New Zealand, keep in mind that the wage is usually before deductions, such as income tax. Tax deduction is known as PAYE (Pay As You Earn). How much you earn determines how much is deducted. Fill out the Tax Code Declaration (IR330) form given to you by your employer to make sure the correct tax deductions are made. You will need an IRD number for this (find out how to get an IRD Number here). A small portion of this deduction is the ACC (Accident Compensation Corporation) levy, which is an insurance system covering the costs if you are injured and off work for an extended period. The PAYE tax is required by law so the employer does not need your consent for these deductions, however, your written consent is needed for any other deductions made to your wage. Employees are entitled to rest and meal breaks on which you can rest and take care of personal matters. The length of those breaks have to be appropriate for the amount of time worked that day. There are no specific rules about the length and time of breaks. The common practice in New Zealand is a 30-minute unpaid meal break and 10-15-minute paid rest breaks after every four hours worked, for example. This varies between industries so that breaks are appropriate for both employer and employee. The guidelines on breaks should be outlined in your employment agreement (see above). 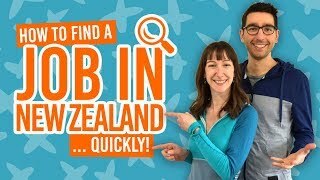 One of the conditions on the working holiday visa is: “You must not work for a period exceeding 12 months.” So working holidaymakers are not likely to work for a whole year in New Zealand with the same employer. There’s too much travelling to do! However, during the short periods that you’re likely to work, whether it’s full-time or part-time work, you will get holiday pay of 8% of your gross earnings at the end of your employment, minus any holiday pay you received during your employment. A similar deal is given to those on a fixed-term agreement (working for just the winter season, or picking season, for example) and for irregular and intermittent work, where it may be agreed to add 8% holiday pay to the gross weekly earnings. You are entitled to the relevant or average daily pay on a public holiday if you would usually be working on that day. Some jobs will require you to work on a public holiday, in which case you should be paid at least time-and-a-half (1.5 times your hourly rate) for the time worked that day. See what the public holidays are in New Zealand here. Five days of sick pay is entitled only after six months working for one employer. You will get paid the relevant or average daily pay for sick leave. Employers have the the right to request proof of the illness, such as a medical certificate. If this is asked for within the first three days of the sick leave, the employer is responsible for any costs the employee might incur to gain this proof. Employers can’t insist that you visit a particular medical practitioner. You can’t work forever, especially when backpacking in New Zealand. But when resigning from your job, you need to give your employer notice by telling your manager or handing in a letter of resignation to your employer. Then you will work the notice period stated in your employment agreement. Check out the good practices for ending your employment in New Zealand here. If your employer chooses to end your employment through dismissal, restructure or redundancy, then they must follow a formal process. For example, if being dismissed, you have the right to be told what the problem is. In any case of the employer ending your employment, you should be given a genuine opportunity to contribute to decisions. You may be able to raise a personal grievance if you believe your employer has acted unjustifiably in ending your employment. See below for employment relationship problems. Both you and your employer should know your rights, most of which should have been understood on the employment agreement. However, if you believe you are not treated fairly at work, these are the steps you should take. First, both you and your employer should talk to each other to try to come to an agreement to fix the problem. It’s good to know the facts and to know your minimum employment rights. If you feel your employment rights have been breached, you can contact the free MBIE Service Centre on 0800 20 90 20. If that doesn’t work, more formal proceedings can be carried out by the Employment Relations Authority, or the Employment Court.